Timeline created by Blake F.
The Germans marched into France within 15 miles after they overcame the Belgians, they met the British and French at the Marne River. 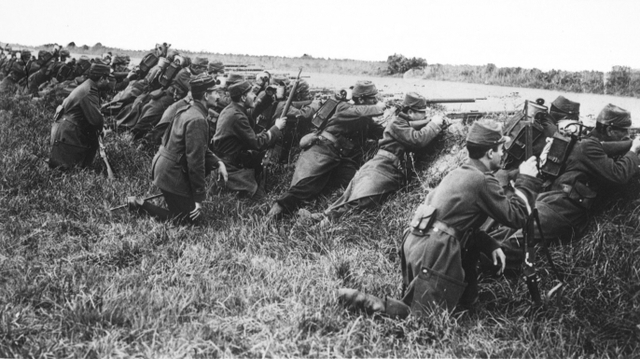 The German advance was stopped by the Battle of the Marne, which was fought in September 1914. The battle made it clear that neither side could win easily and the war became a stalemate. The United States was decided to be a neutral nation and didn't take a side in the war. The United States sought trade with both sides which needed goods of all kinds and American businesses were happy to provide them, but Britain's blockades made trade with Germany difficult. 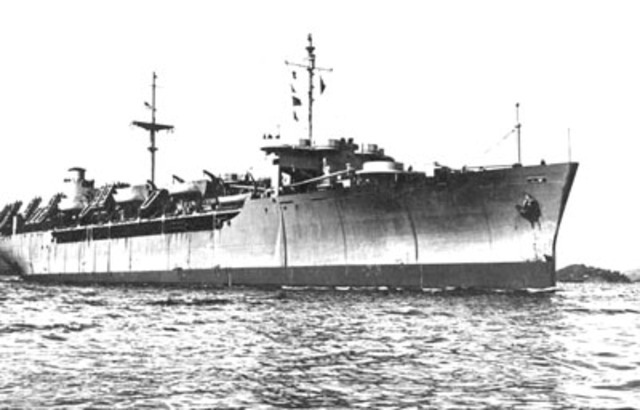 The British navy stopped and searched American ships headed for German ports and often seized the goods they carried. Archduke and his wife were both killed on June 28,1914 from a gunman attack when Archduke when to town for a visit. 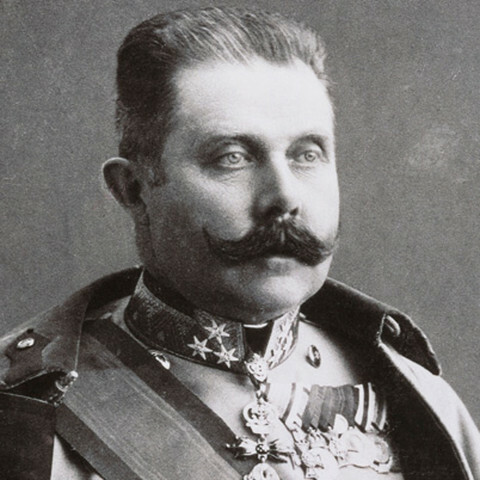 Austria-Hungary declares war on Serbia when Serbia refused a list of demands from Germany because Austria-Hungary blamed Serbia for the assassination. 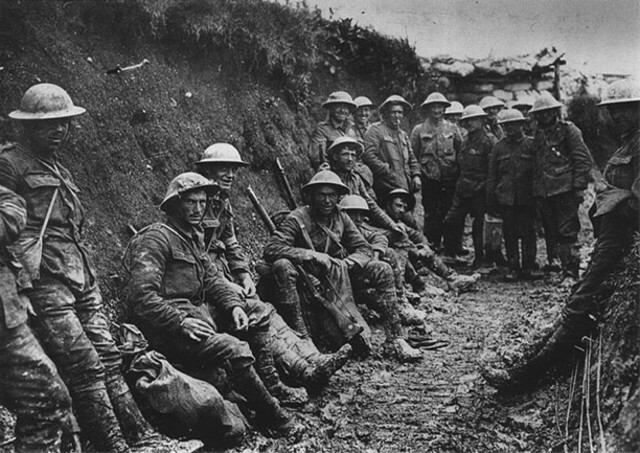 The "Great War" had begun with the Allied Powers, or Allies, on one side which included Great Britain, France, and Russia. 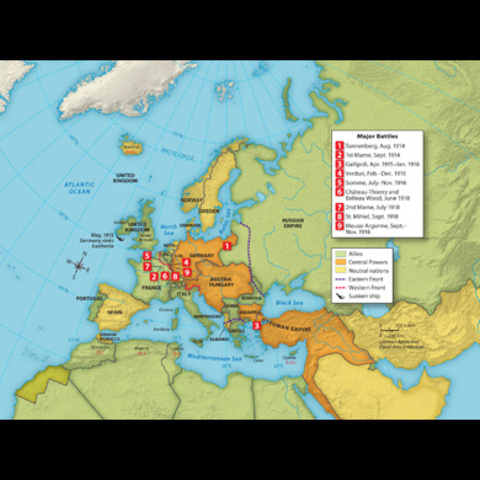 Germany, Austria-Hungary, and the Ottoman Empire made up the Central Powers on the other side. Japan joined the Allies because it was a rival of Germany in Asia, and Italy refused to honor its alliance with Germany and Austria-Hungary and instead joined the Allies. New Deadly Weapons were introduced which caused larger numbers of injuries and deaths. Better rifles let soldiers hit targets with better accuracy, poison gas could kill or seriously someone who breathed it and was introduced by the Germans but was first used against allied troops, Tanks were introduced to break the stalemate of trench warfare, and airplanes were used to watch troop movements and bomb targets. 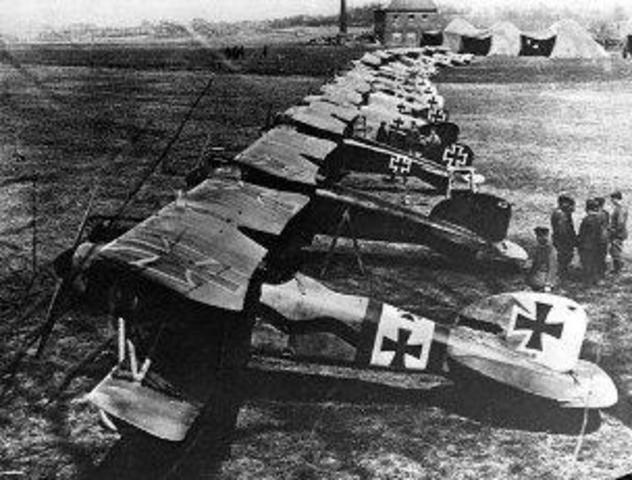 Both Great Britain and Germany went to the sea when their land armies were deadlocked in Western Europe, and the British blockaded all ports under German control which over time, produced serious shortages where many Germans went without food and other supplies. 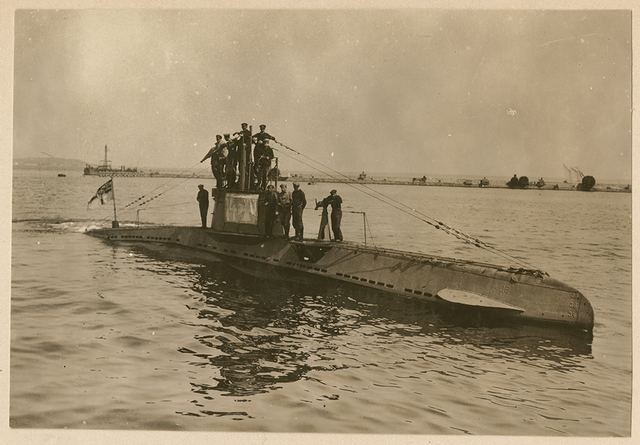 Germany had an effective naval weapon known as U-boats, or submarines and sank ships carrying British supplies, and this eventually brought the United States into the war. 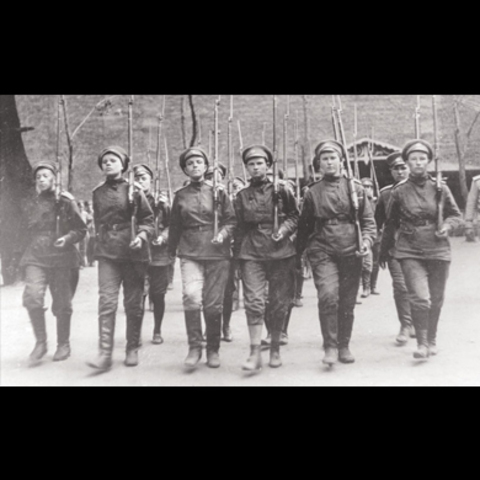 Russia quits the war due to a group called the Bolsheviks, led by Vladimir Lenin, overthrew the Russian government so they can set up a new communist state. 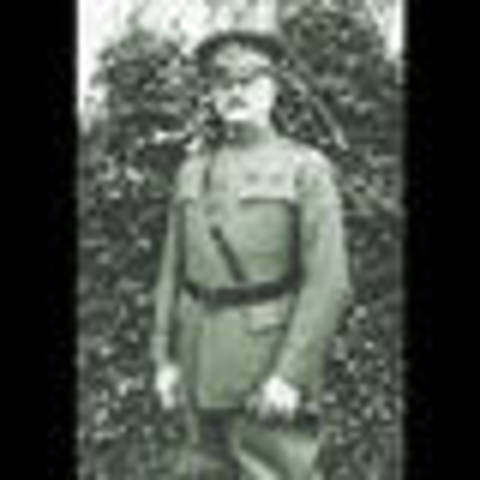 The Americans were preparing to fight while Germany went on with the attack and General J. Pershing became supreme commander of what was called the American Expeditionary Force in May 1917. 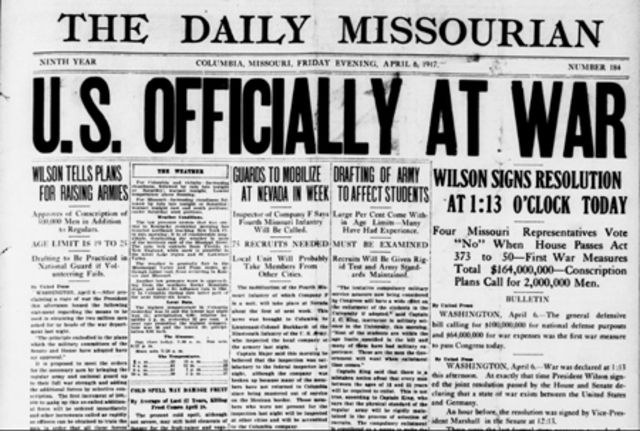 President Wilson asks congress to declare a war on Germany on April 2, 1917, and Congress passed a declaration of war, Wilson signed it on April 6. Congress passed the Selective Service act to help the U.S build an army quicker, and about 24 million men have registered. More than 1 million American troops joined the Allies in the Battle of the Argonne Forest after a half a million American Soldiers defeated the Germans at Saint-Mihiel. It became the biggest attack in American History. 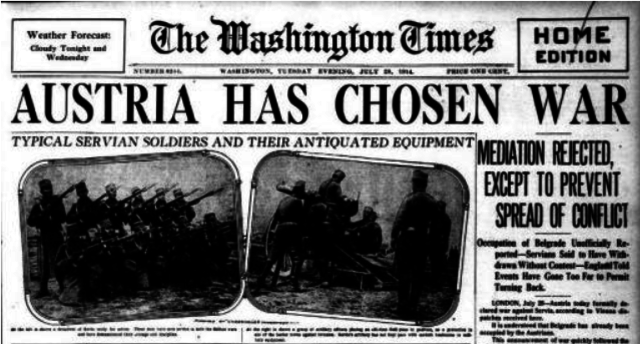 Poland, Hungary, and Czechoslovakia declared independence in October 1918 after Austria-Hungary broke apart and the Ottoman Empire was on the brink of collapse. 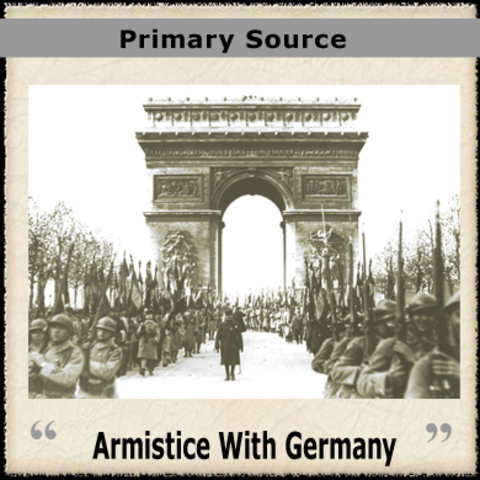 By early November, the governments of Austria-Hungary and the Ottoman Empire had surrendered to the Allied powers while Germany seeks an armistice.